Aerial shot probably early to mid 1990s. You can see the Agrivet lorry so it was before they moved to Chodds and became KWG. 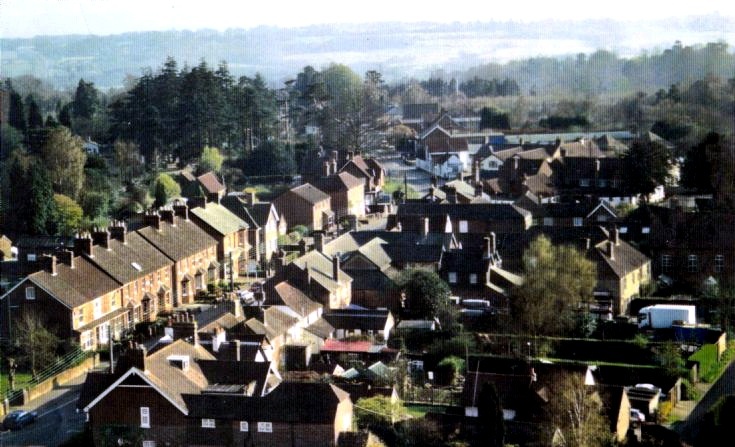 We think this was taken either from a helicopter which gave rides at the Handcross Fun Day or when The Fountain pub was doing bungee jumping from a high platform. This was the bungee platform, 1999. A copy of this picture sits in a frame in the lounge of Genevieve Carel in St Martin Des Becases, Normandy. Twas Jane and I who gave it to her!